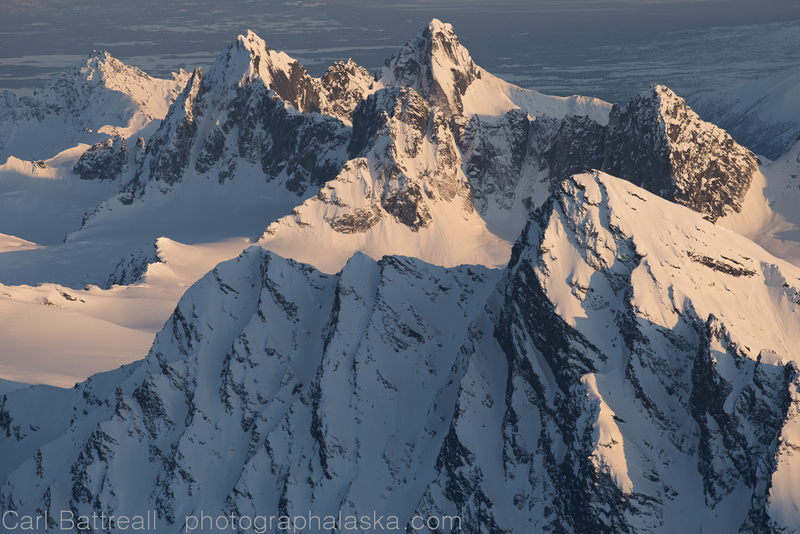 The season is winding down here in Alaska so I decided I would post fifteen of my favorite images from this year’s Alaska Range trips. 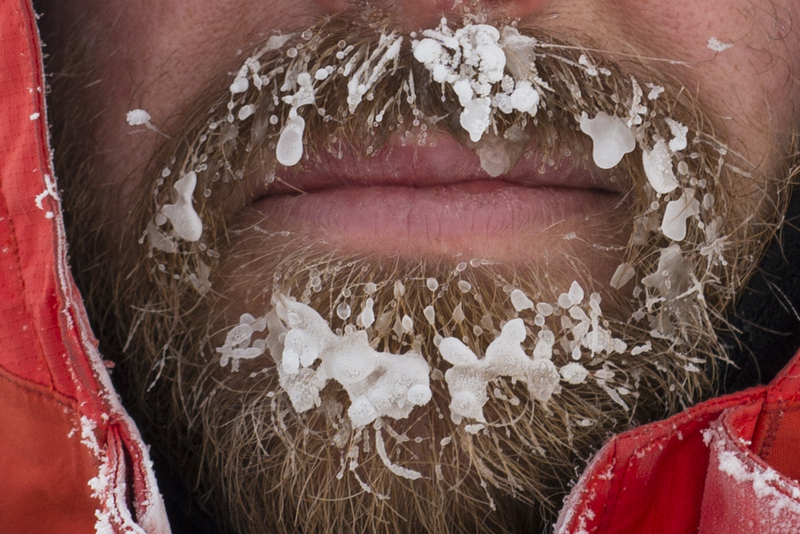 If you have been following the blog you know it was a rough year in the mountains. 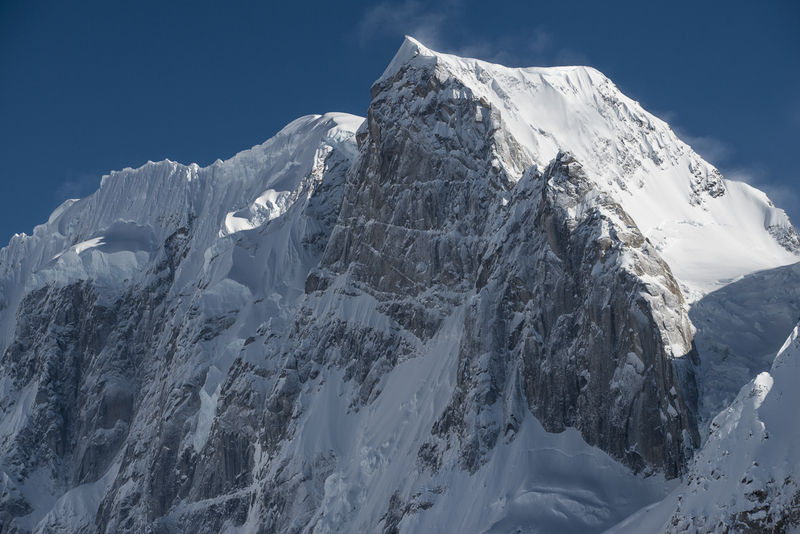 I am mostly disappointed that I got nothing of merit from the southern section of the Alaska Range, except some broken toes, a sprained wrist, lots of bruises and a damaged ego. 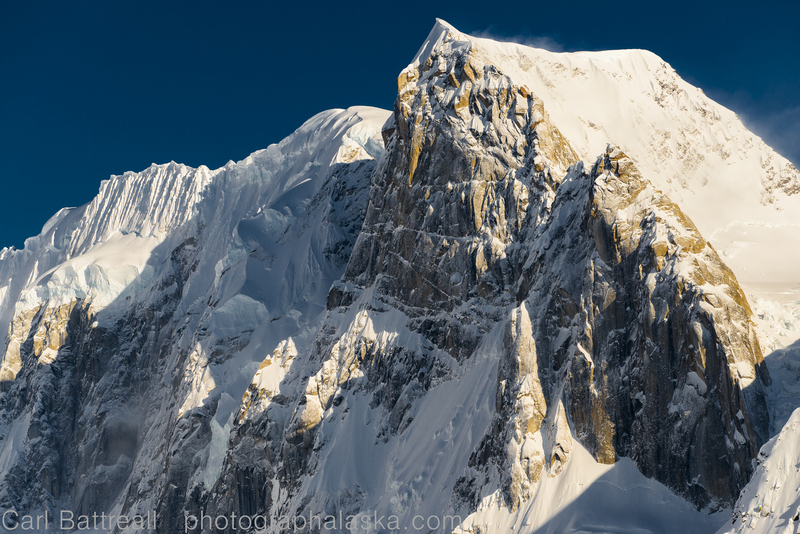 I will be posting a larger selection of images on a dedicated page in the near future, along with photographs from my previous work in the Alaska Range. 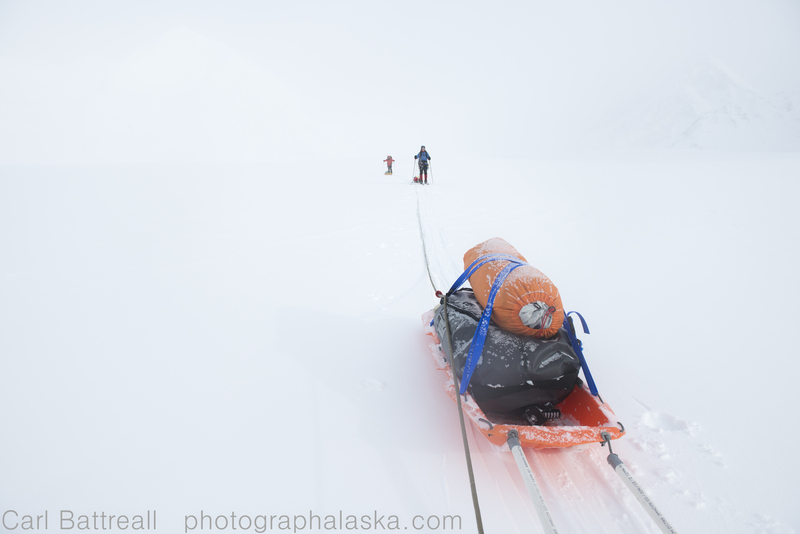 I am already plotting next year’s trips, six expeditions total. Please feel free to comment on each image and share them through your social networks, the more people who learn about the project, the better of a success it will be when its finished. 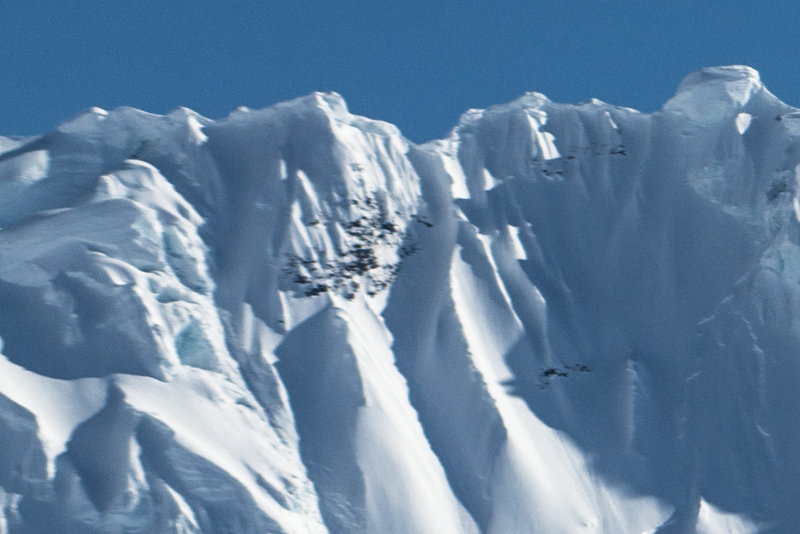 Avalanche off the North-West face of Mount Hunter, Denali National Park and Preserve. 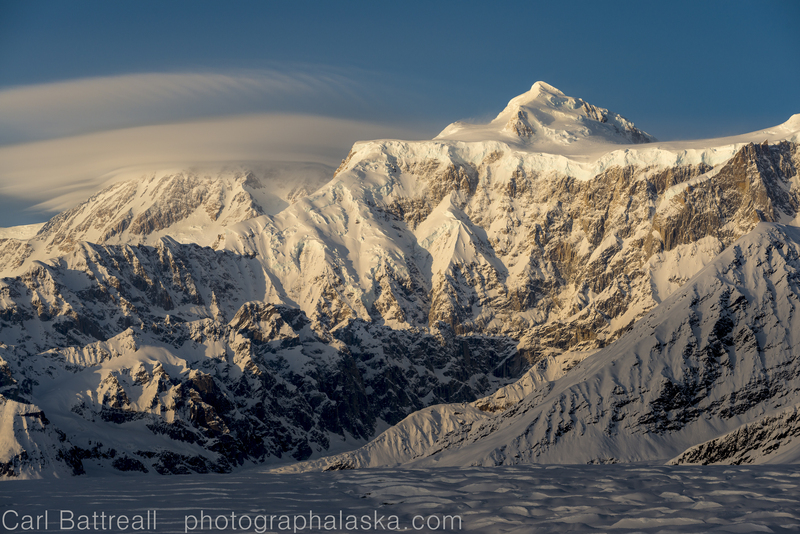 The shadow of Mount Church is projected into the clouds by the rising sun, Denali National Park and Preserve. Melt water stream on the Backside Glacier. 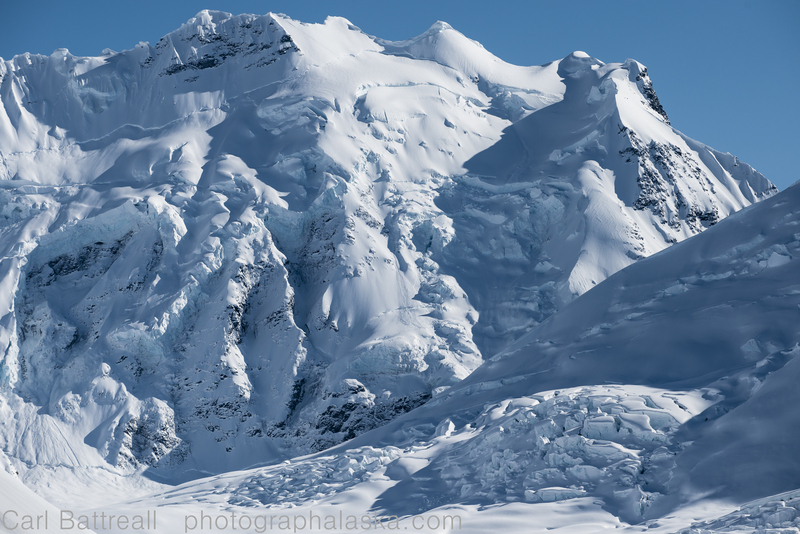 It was abright and sunny day so I had to use a ten-stop ND filter too slow down the exposure, central Alaska Range. 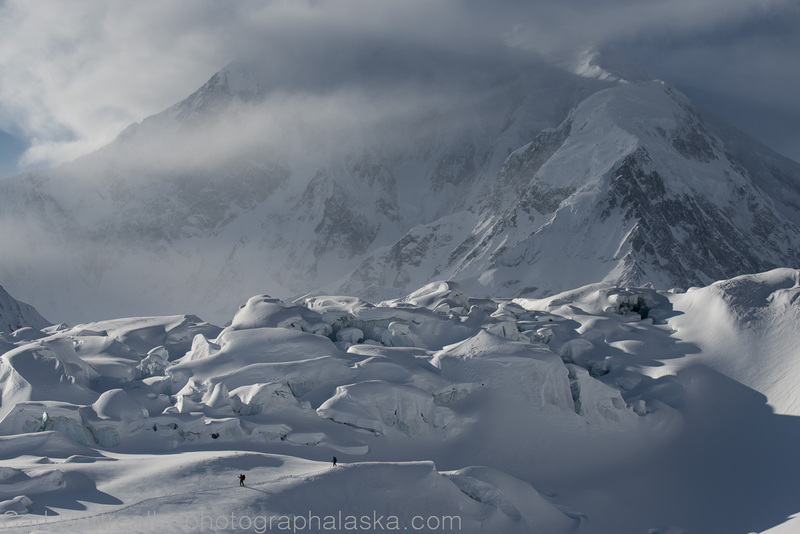 The impressive gorge that prevents access onto the middle of the Ruth Glacier, Denali National Park and Preserve. Skull and fall colors, north side, Hayes Range. Caribou under unnamed mountains, north side of the Hayes Range. Mount Moffit Reflection, north side the Hayes Range. 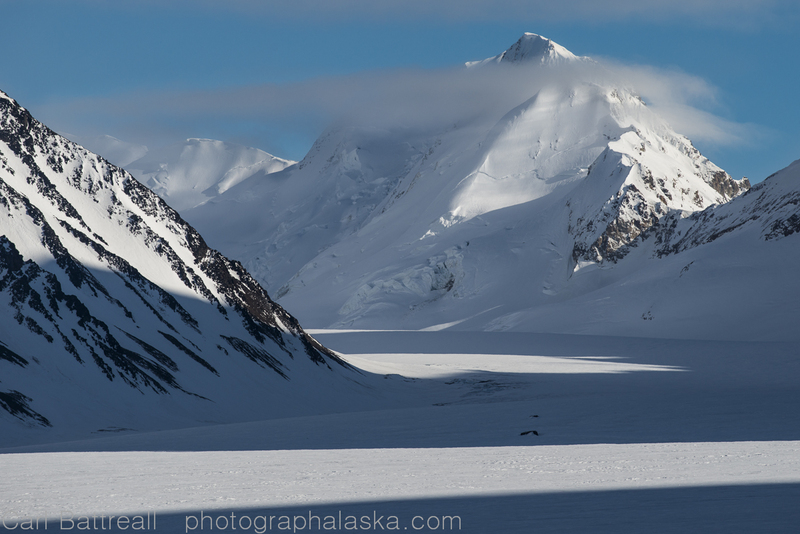 Beautiful mixed light, Hayes Glacier, eastern Alaska Range. 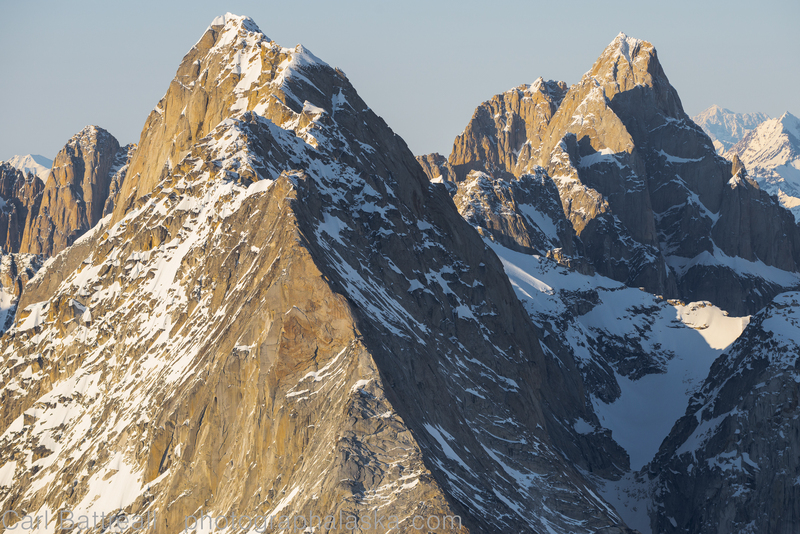 Most people think mountain photography is all about wide-angle lenses. 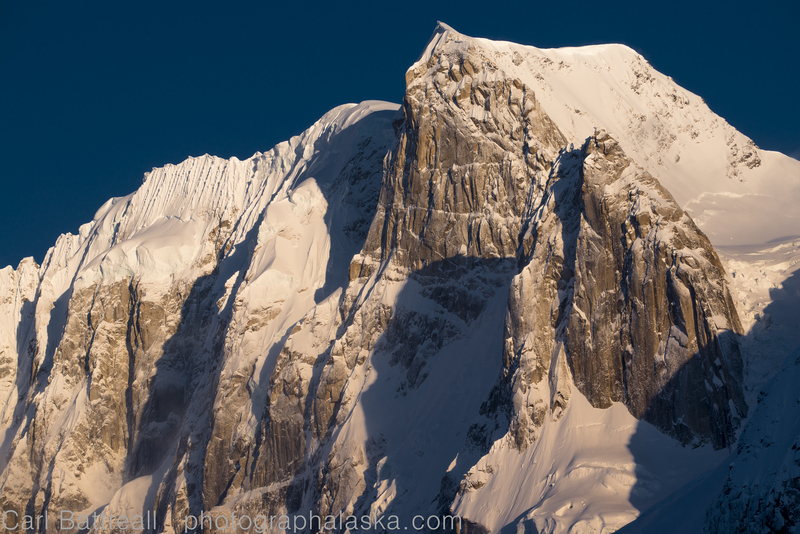 But over half of my mountain images are taken with a telephoto. 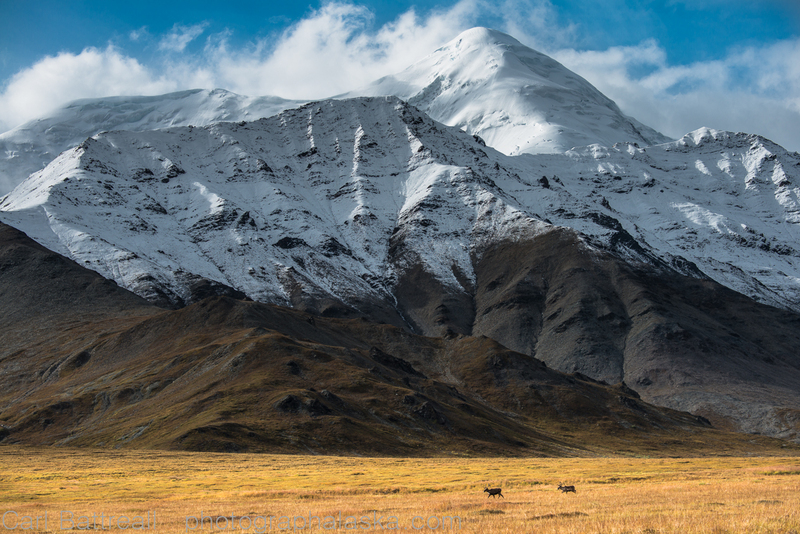 My go to lens is my Nikon 24-70, which is great when you’re in tight with the mountains. 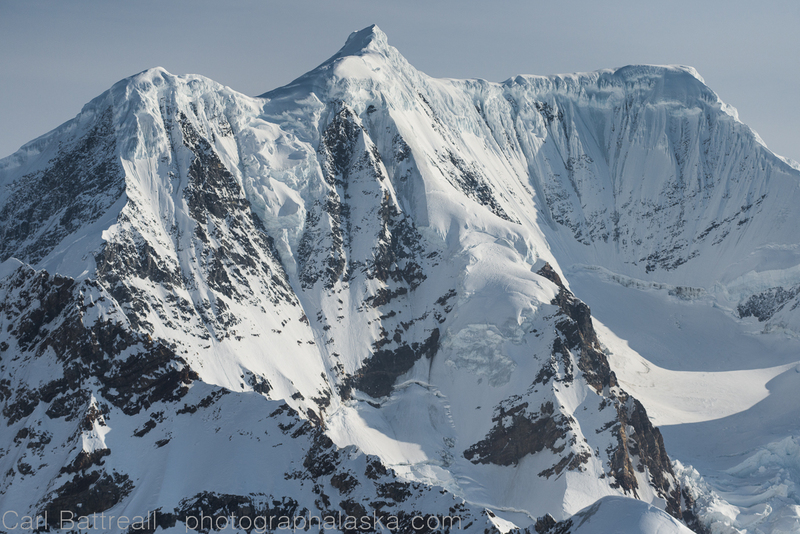 However, when I know I am going to be a far distance from the mountains, or think there will be plenty of tight detail shots of glaciers, I prefer to bring a telephoto. My new go-to telephoto is the Nikon 70-200 F4. When I began using digital in 2006, I went with Canon and purchased their 70-200 F4 right off the bat. When I switched to Nikon for this project (after a few years using Sony) I was bummed that Nikon didn’t have a light, high quality zoom. Luckily for me, they came out with one right when I began investing in the their system. Really, that is all I care about. 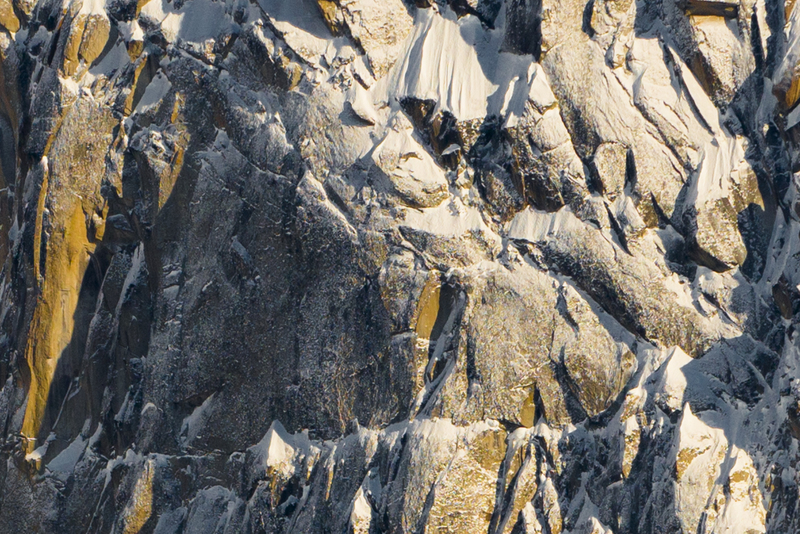 Telephoto zooms aren’t known for their stellar performance for landscapes. The edges tend to get really soft. But before we talk edges, I just want to say that the center sharpness of this lens is wicked sharp, just fantastic with tons of resolving power to match the D800e. Its performance at middle distances is off the chart, and pretty good at infinity, which is what most mountain shots are at. 100% crop, 145mm @ f5, wicked sharp, you don’t want to photograph your teenage daughter with this lens! 100% crop, not as sharp has the one of Sy’s beard, but pretty nice. There is some color noise in the shadows, mainly from the jpeg conversion, noise can’t be seen in any size prints. Okay, the edges. It does pretty good job up to about 120 or so, then the edges tend to get pretty soft, not unusable, but noticeable, especially when making big prints. Kind of a bummer, because I shoot a lot at 200mm. Obviously, stopping down to f8-f11 helps a lot, making the images very usable. One of the problems is that the center is so good that the edges just stand out. 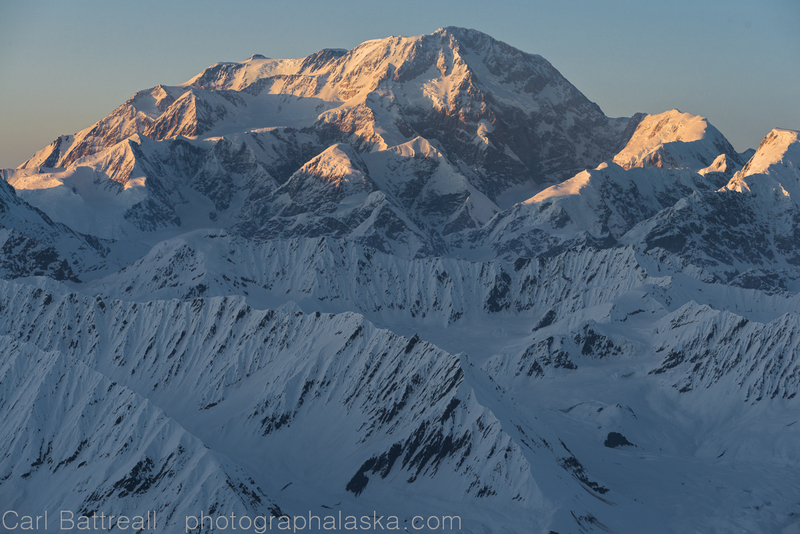 Unnamed Peak, Denali National Park. Nikon 70-200 f4, 200mm f4, hand held with VR on. Upper Left corner, 100% crop, still soft even at f8, but doesn’t look too bad in a print as long as you don’t go huge on it. Fine for a double page book image. Not something I thought I would use much, being a tripod type of guy. 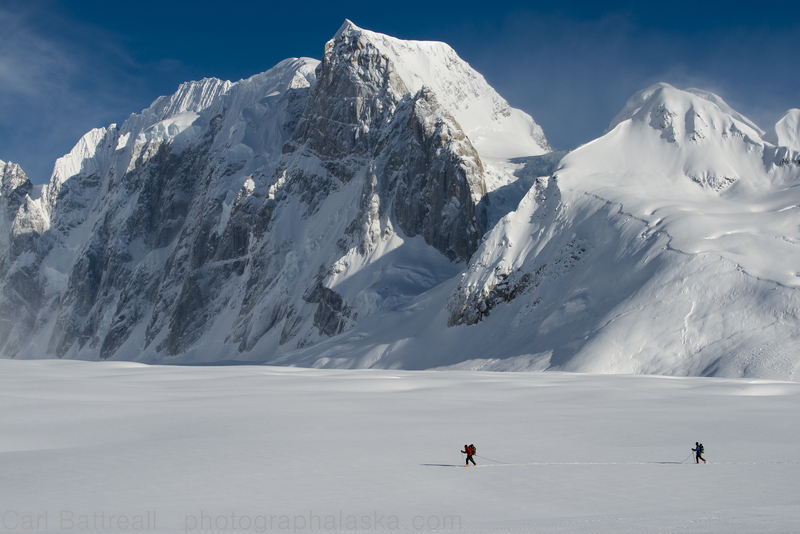 But during my latest Alaska Range trip it was so cold that it wasn’t fair to my climbing partners to constantly stop and set up a tripod every time I wanted to take a shot. Then I went on a flight with my friend Dan Bailey and used it for the entire flight. I really didn’t think any of the shots would be sharp, especially ones at 200mm, but I was wrong, the VR worked great! 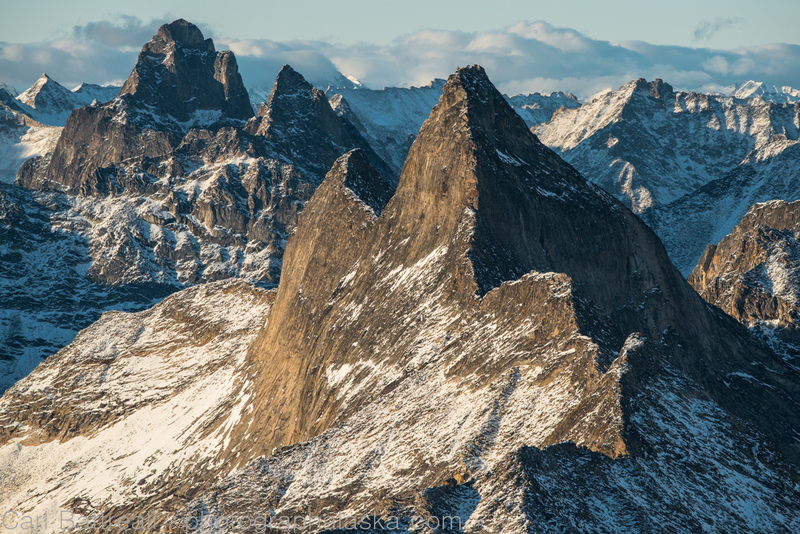 Cathedral Peaks and Kichatna Spire. Taken hand held from a plane going 80 miles an hour, VR on and it did an awesome job. 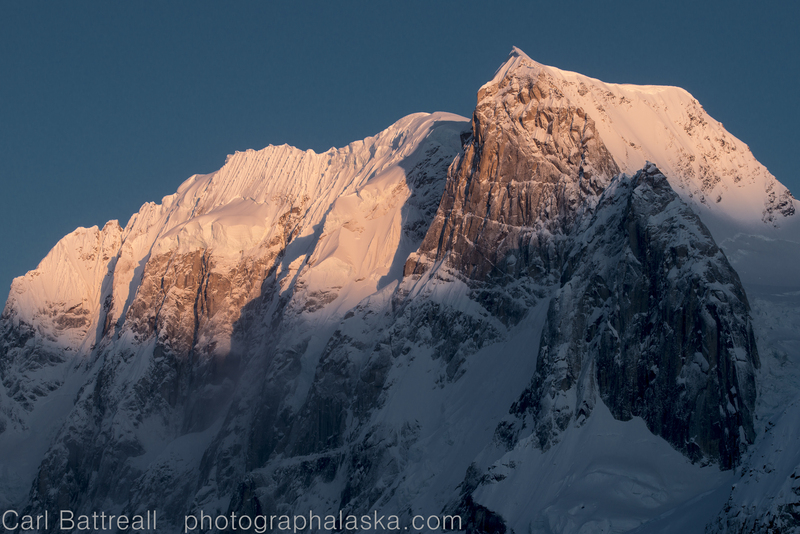 At this moment, the 70-200 F4 is the best Nikon option for telephoto mountain images. 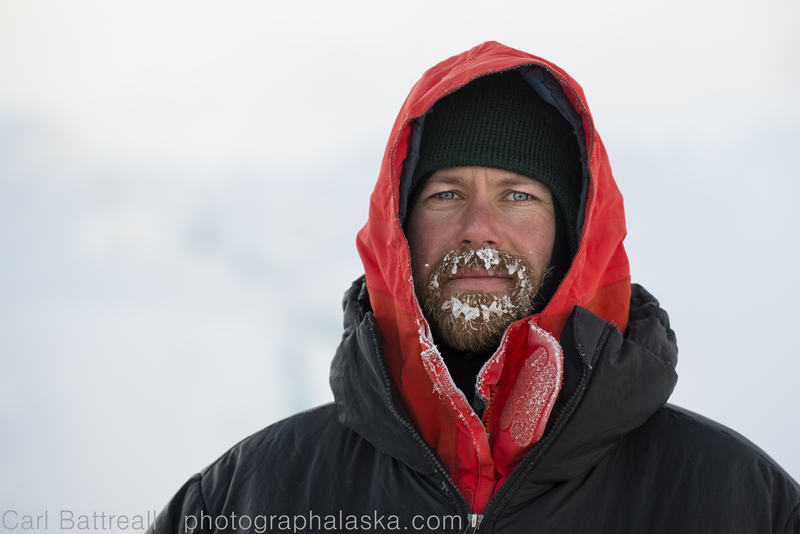 If you shoot portraits or back country sports, you will be blown away by its center sharpness. 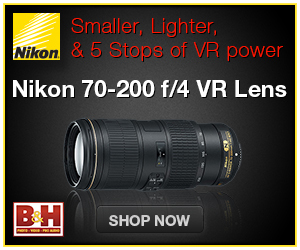 If you are interested in buying this lens (or anything from B&H), consider using the link through the banner below.